Each workbook includes all the Student Worksheets, Family Partnership Flyers, and Family Activity Sheets needed for student use with Puberty: The Wonder Years. Workbooks come packaged in a set of 30. Save time and money by ordering Student Workbooks. 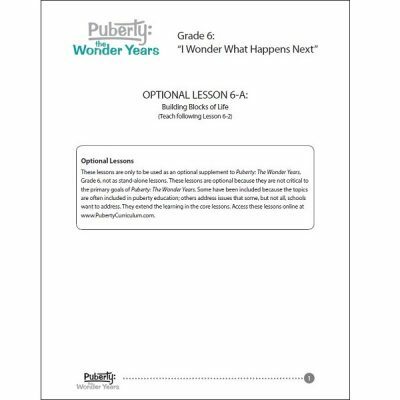 Each workbook includes all the Student Worksheets, Family Partnership Flyers, and Family Activity Sheets needed for student use with Puberty: The Wonder Years. The Student Workbooks are bound to hold student work together. Homework activities are on perforated pages so students are able to remove them when it’s time to take them home. 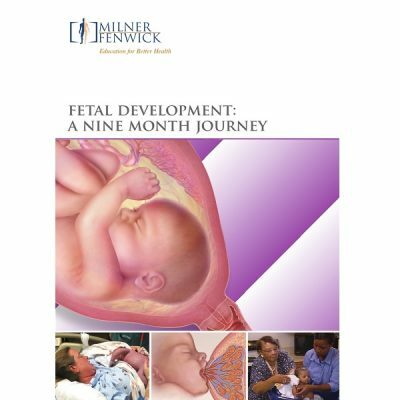 These workbooks are offered as a service; they are not required since these materials are included in the Online Teacher Resources that come with each purchase of the curriculum guide. Grade 4 Student Workbook Set: Come packaged in a set of 30. 16 pages, plus a full-color cover.